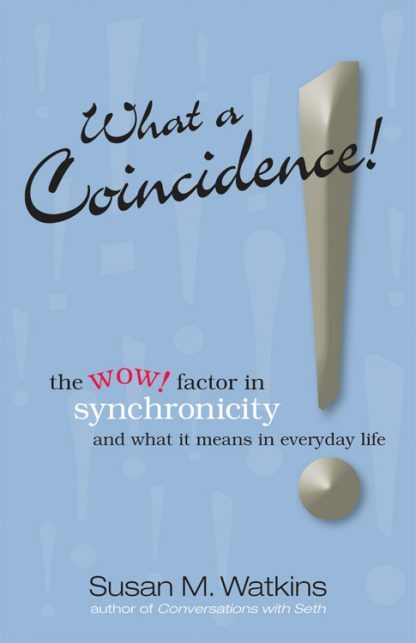 What would we find if, over a period of time, we paid careful attention to the coincidences in our lives? What would clusters of coincidental events reveal? Susan M. Watkins examines, from the inside out, coincidences in her own life and asks, What's going on here? She discovers powerful insights into the workings of the conscious mind, into the concepts of time and space, past and future. Her examples vividly illustrate how the process of examining personal coincidences enriches our experiences and opens up a vast psychological landscape that otherwise tends to go unnoticed and certainly under utilized. What a Coincidence! is a rich, often humorous, mind-expanding journey that will change lives--readers will never again dismiss those "coincidental" moments.